Ladies diamond tennis bracelet of classic styling. 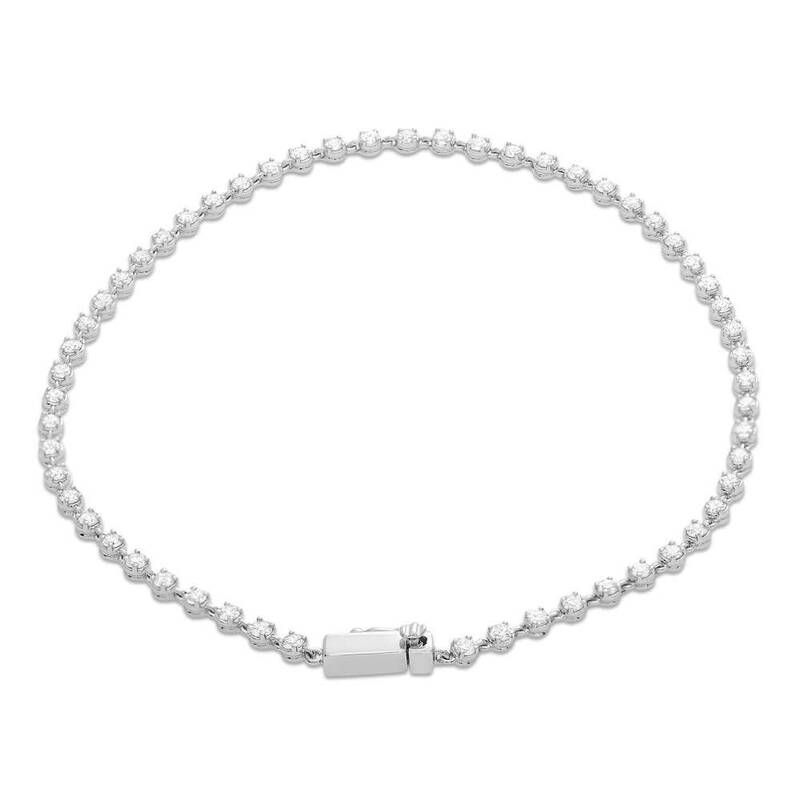 The bracelet is crafted in 14k white gold and is set with 56 round brilliant cut diamonds. These diamonds are individually four-claw set down the length in mini illusion settings. The bracelet measures 7 inches in length and secures with an invisible tongue clasp and a figure eight for safety.